Sometimes life is funny, but you already knew that, didn’t you? 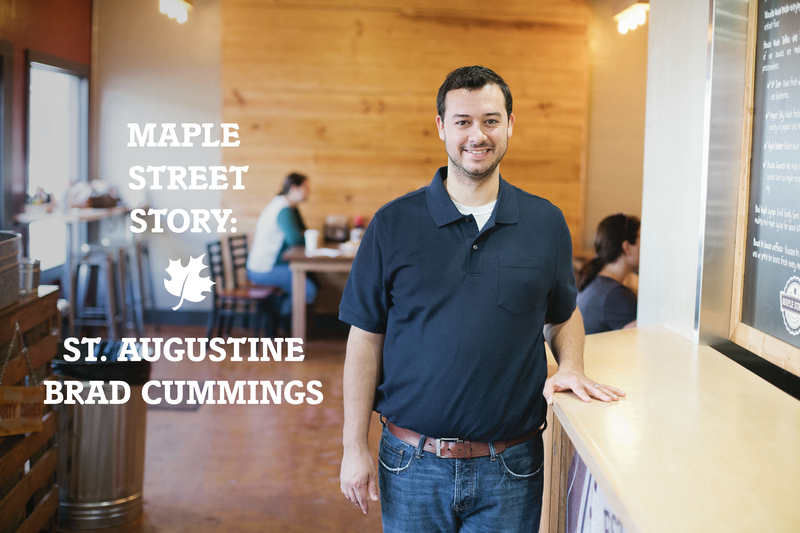 What’s really funny is going from enjoying a delicious Five, to being one of the Community Leaders in Maple Street. Well that’s the very brief version to Brad Cummings story. Brad is our community leader to our recently opened location in the Old City of St. Augustine, Florida. We dug deeper to figure out exactly how Brad went from enjoying a biscuit to becoming a part of our family. It honestly started there; he kept seeing people post about Maple Street through social media and decided to check it out. He ordered a Five and said he not only fell in love with the food, but the atmosphere as well. After that day, he started reaching out to friends and to co-founder Gus Evans to learn more about the business. Brad had been working in food for 9 years, so he had a great understanding of what it took to run a business. His dream for quite some time had been to run his own restaurant and provide for his family. 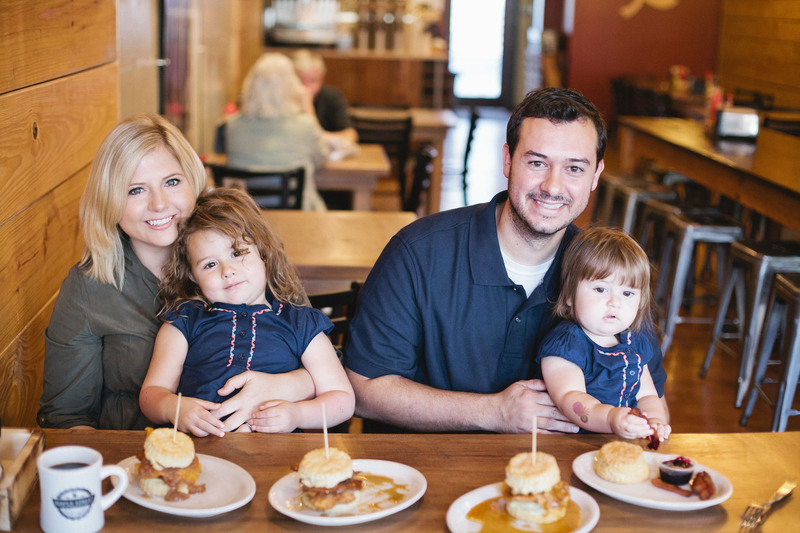 Speaking of his family, they are quite adorable and love eating Maple Street as much as we all do! His wife Leslie and two daughters, Piper and Ellie, have their favorite menu items, but more importantly they’re the support system and motivation to Brad’s dream to run his own business. Brad wanted to work at Maple Street no matter what, and was willing to fall in love with any community. He secretly wanted the Old City location, but thought someone else was already running it. Luckily, he was the perfect fit, and the opportunity was there for him to have it. He wanted to be a part of the community, because it’s where he first wanted to live with his family, and also say he worked in. Not only does it have the history of being the nation’s first city, but the places to explore were great. There are plenty of genuinely kind locals, but he also gets to interact with people from all over the world being here. Flagler College is just outside this community store’s door, and on Brad’s list of things he wanted to accomplish was to impact the students for the better while being there. He has that great opportunity by having a team made up of students and graduates from Flagler. We’ve all wanted a location in St. Augustine for quite some time, but the timing was perfect and we can’t wait for the great success and the stories to come out of this community. Please go meet Brad, if you haven’t already! Previous PostPrevious Food Network Feature!